With last week's domestic drama and now a recuperating husband on my hands I've put all serious reading aside for the present and choosing books that are light, relaxing and require little concentration. Which means I'm getting through them quickly so in order to keep up I'm doing a few quick mentions. Scotland, 1863. Escaping her not-so-innocent past, Bessy Buckley takes a job as a maid in a country house. Bessy is intrigued by her new employer, Arabella, but puzzled by her insistence that Bessy keep a journal of her most intimate thoughts. And it seems that Arabella has a few secrets of her own - including her obsessive affection for a former maid who died in mysterious circumstances. Bessy is the narrator - she's earthy, bawdy and vulgar . A sort of Victorian Gothic tale of suspicions and secrets, mysterious disappearances and ghostly happenings, it romps along in a delightfully entertaining way. 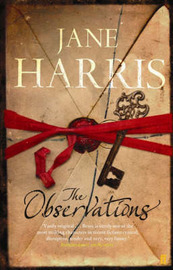 I liked it a lot but not as much as Jane Harris's second novel Gillespie and I which I read and loved last year. When Eve falls for the secretive, charming Dom, their whirlwind relationship leads them to purchase Les Genevriers, an abandoned house in a rural hamlet in Provence. As strange events begin to occur, Eve's narration becomes entangled with that of Benedicte Lincel, a girl who lived in the house decades before. Lovely, evocative descriptions of Provence were the highlight of this book which brought back memories of our stay there in 2001. It made pleasant weekend reading but there was nothing particularly original about the story and I'm not convinced it deserved all the attention it received last year. A team of archaeologists investigating coastal erosion unearths six bodies buried at the foot of a Norfolk cliff. Forensic tests show that the bodies have lain hidden in the sand for over fifty years. Further discovery reveals that members of the local wartime Home Guard may be concealing a hideous crime. 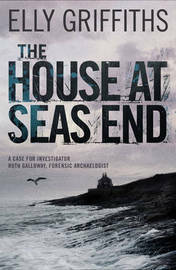 This series featuring forensics expert Ruth Galloway is one I really enjoy and because it focuses on character development as much as the central mystery, I'm am very glad I've read them in order. This is the third - Ruth has had her baby and is struggling to cope with the needs of the daughter she loves and the guilt she feels about going back to the work she also cares so much about. Solving the mystery of the bodies provides a fascinating glimpse at wartime history and the effect of war on people. A secondary theme is introduced when Ruth's friend Tatjana comes to visit and painful memories of her time in Bosnia identifying mass grave victims resurface. Good reading for crime fiction lovers! I need to finally get around to Gillespie and I as I really enjoyed The Observations. I agree that The Lantern didn't quite live up to expectations. I'm sure you'll love Gillespie and I, Marg. I'm reading Gillespie and I soon, I have high hopes for it! 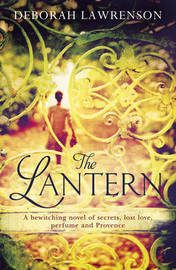 And I still have The Lantern sitting on my shelf waiting for me - I don't mind a nice weekend read, even if it isn't earth-shattering. I hope you'll also love Gillespie and I as much as I did.